A South Campus group wants to make the terrain butterfly-friendly again and needs the community’s help to do it. South’s Ecosystem Project kicked off at the campus’ Bioblitz Earth Day event April 18 and focuses on an endangered butterfly species that has dramatically declined in recent years. These numbers are reflected by the National Wildlife Federation’s 2017 numbers for the decline of monarch butterflies in North America. This is a species the environment can’t afford to lose, Raymond said. South became involved with helping the crippled butterfly population after campus president Peter Jordan was approached by faculty, students and staff to sign a pledge to dedicate some of the campus’ sprawling land to help preserve the endangered species. The ecosystem project is a multi-initiative plan. At the moment, it’s in the first stage to launch a project on campus and set up a partnership with iNaturalist, an organization that helps people connect with nature and catalog species they observe. Henry said she believes it is the campus’ and the college’s duty to provide this project. Not only does it help preserve an endangered species, but it works to inform the community. The waystation for the butterflies and the conservation areas for no-mow initiatives so natural wildflowers and vegetation can grow are open to the community 24/7 for that reason alone, Henry said. Raymond said South is perfectly set up for an ecosystem project. Understanding the surrounding ecosystem on campus could help others do their part in preserving such space, Raymond said. While she is doing it for the same reasons, she said she had a personal attachment to the monarch butterfly. She was a little kid growing up in the Midwest, a migratory path for monarchs on their way to Mexico, Raymond said. These butterflies have taught Raymond the value of nature, spurring not only activism for conservation, but in other areas too, she said. “I am a Buddhist, vegetarian and an animal rights activist because I now understand that literally all species — from plants, to insects, to animals and human beings — depend upon one another for survival,” she said. Butterflies, in particular, play a key role in ecosystems for plants and animals alike. They are considered pollinators, which play a vital role in plant reproduction. Pollinators go from one plant to the next, gathering the pollen to directly spread to other plants. Without pollinators, plants have to rely on the wind and other animals to make sure a plant is fertilized. “Without pollinators, plants cannot reproduce, and I mean no plants can reproduce,” Raymond said. This is a major problem that not everybody understands at first, she said. Raymond wants students to start getting involved. One way is by joining the SOS Monarchs Action group on campus. 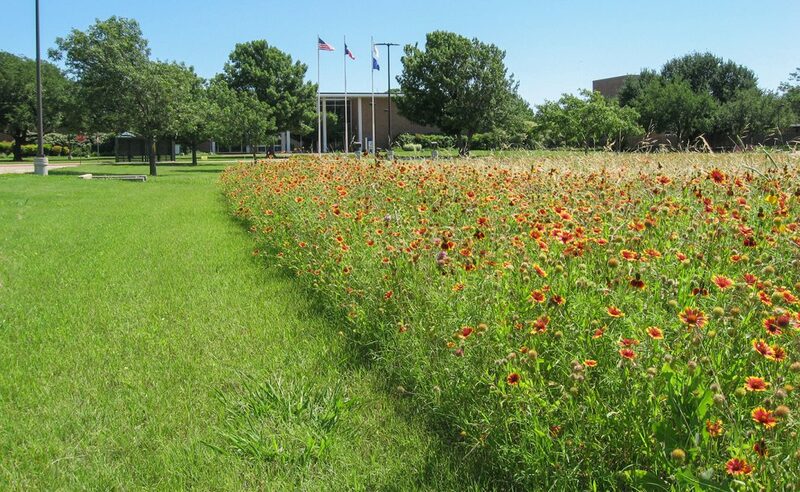 Planting milkweed on campus is another way to help as the plant attracts the monarchs. Raymond said she hopes these initiatives will not only help the ailing butterfly population, but that students have fun. “The more help, the better,” she said.